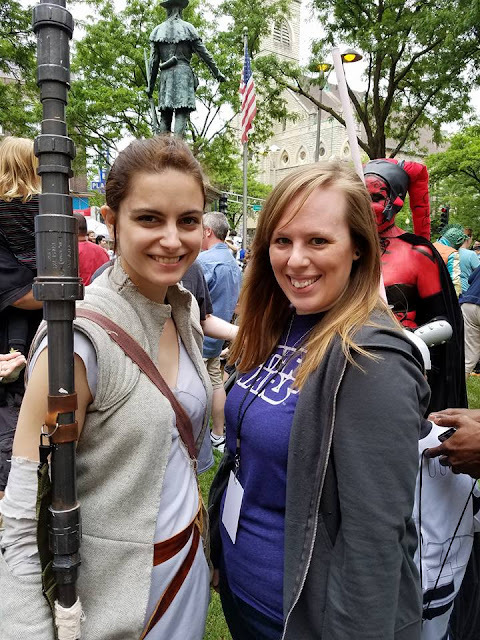 Megan Cullinan, a 35-year-old resident of Illinois, is a fangirl that is proud to have found her self-confidence and creativity through Star Wars. She has modeled for a Star Wars fashion campaign and utilizes social media to connect with other fans of the franchise she holds so dearly to her heart. Cullinan's longtime love of science fiction and fantasy turned into a lifelong passion for Star Wars when she saw the special edition of the original trilogy in 1997. In September 2015, she was contacted by Kohl's to participate in a once in a lifetime opportunity of modeling for an upcoming Star Wars fashion line. This contact from Kohl's sparked from a direct message that she sent to the company via Twitter earlier in 2015. The message expressed her love for their Star Wars clothing, but suggested that they expand their collection to women and girls. The best part about this photoshoot for Cullinan was that she got to model with other ladies who were die-hard Star Wars fans just like her. "We were all different, had different experiences but came together for one day and were able to connect because of Star Wars. It was such an awesome experience and I'm so thankful that I could display my love of Star Wars in this way," says Cullinan. For years she's collected Star Wars merchandise that have been purchased and created by hand. One of her favorite things to collect is fashion wear, especially Her Universe. 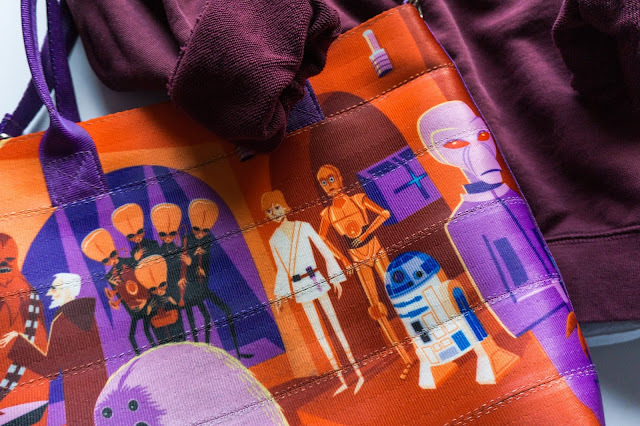 Her mom helped her create skirts out of Star Wars fabric to wear at Disney's Star Wars Weekends in 2015. In addition to collecting clothing and accessories, Cullinan has a large collection of Legends books and Expanded Universe novels. One of Cullinan's favorite activities to do as a fangirl is attend various Star Wars events and conventions. 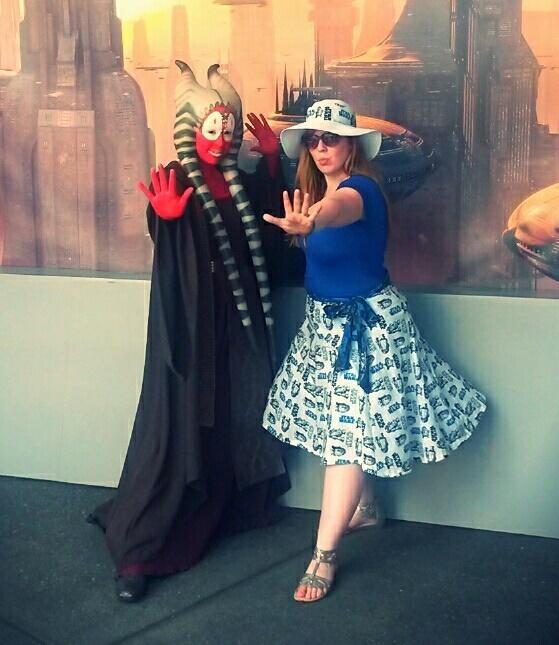 She regularly attends Disney's Star Wars Weekends and a local event at Joliet's Public Library called Star Wars Day. Next year will be her very first trip to Star Wars Celebration, the mecca for all Star Wars fans. 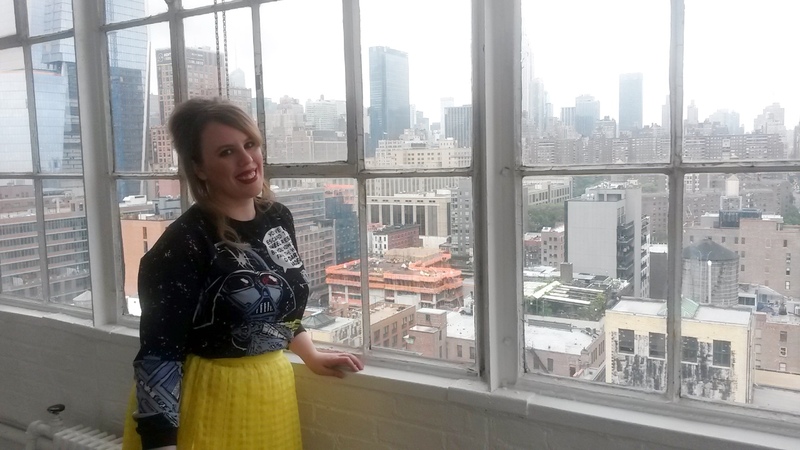 "Star Wars has inspired me to be true to myself and never compromise what I love," says Cullinan. She remembers having confidence issues when she first became a fan because she didn't know too many other Star Wars fans and found it difficult to be outspoken about her love for the franchise. Since then, she has transformed into a proud fangirl who displays her fandom on social media. Prior to the release of The Force Awakens, Cullinan hosted a "365 Days of Star Wars" series on Twitter where she posted photos of anything and everything related to Star Wars. Cullinan and her friend Kay dressed as Rey at Joliet Public Library's Star Wars day. "Star Wars comes from a community of people that works hard to create it for other people to enjoy. It represents that something good can come from something bad and to fight for what you believe and what is right. I'm really thankful for the people I've met and connected with over the years because of Star Wars," exclaims Cullinan. 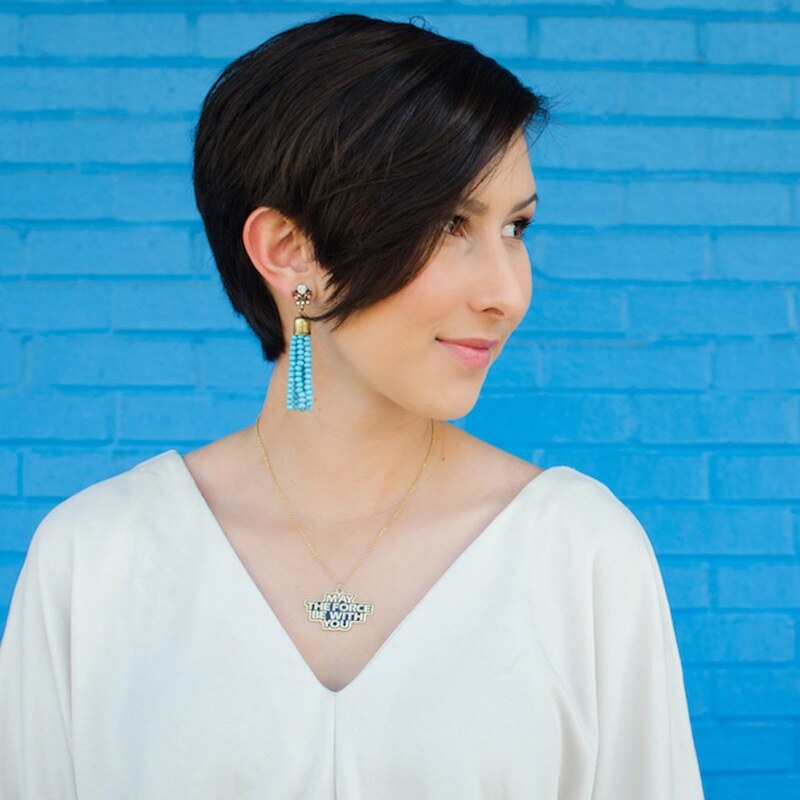 You can find Megan Cullinan on Twitter at @MegZCull and watch her in the Kohl's Yes2You campaign HERE. All photos used with permission and courtesy of Megan Cullinan.